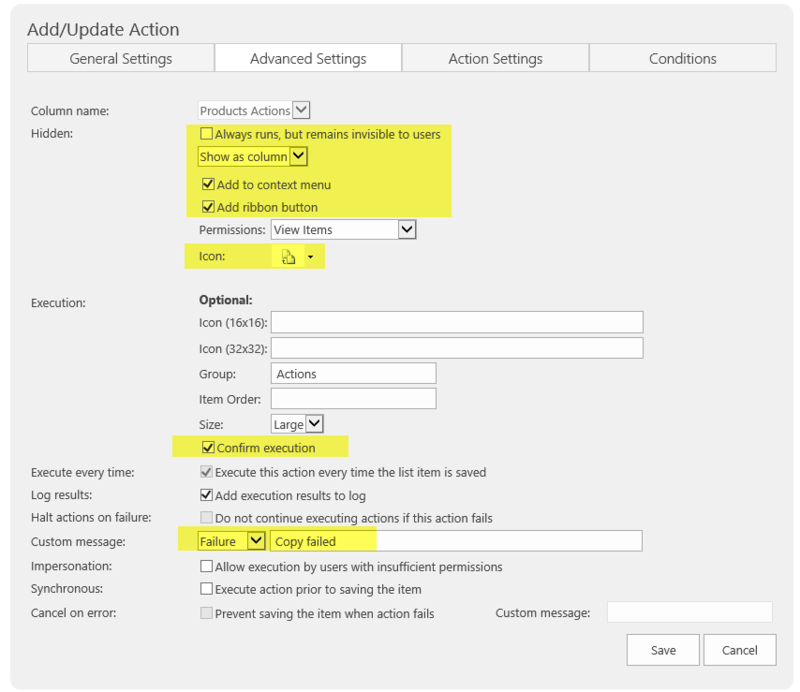 We can create a user facing action by adjusting Advanced Settings on the action column. The copy action is useful to allow the user to start a new record from a copy of an existing record. 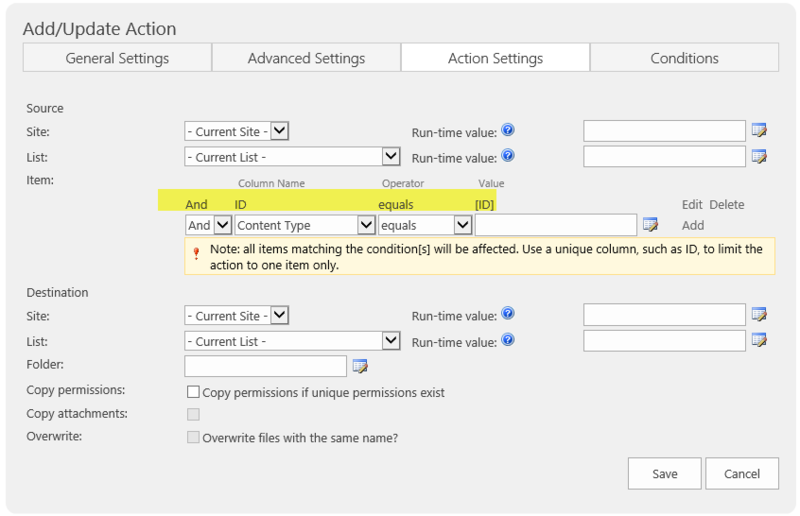 Create a new Copy item/document action named "Copy Product". Adjust Advanced Settings to show a button to the user to trigger the action after confirmation. In this case, the action should NOT be hidden. The button will be added both to the Ribbon Menu and to the dropdown Context Menu. Choose an appropriate icon or upload your own custom icon which corresponds to the image shown in the user interface. 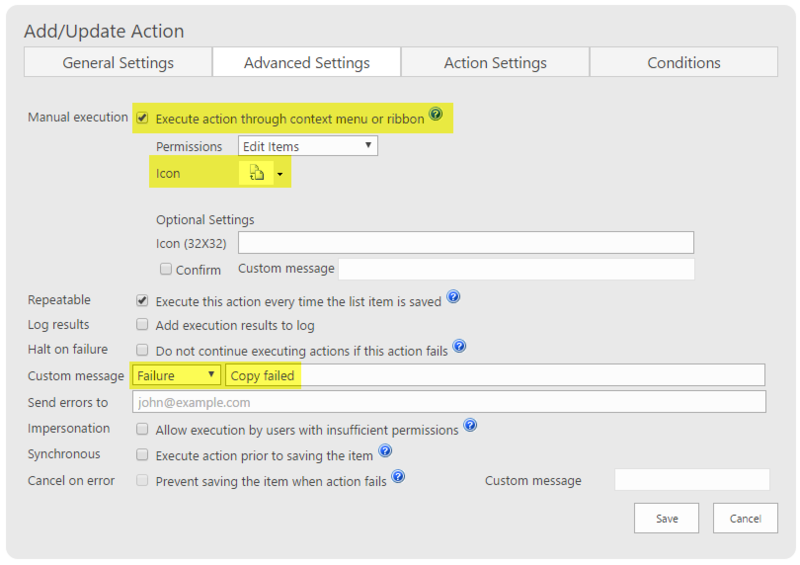 Enable the Confirm Execution option to prompt the user before committing the action. Under Action Settings, Use ID = [ID] setting to apply the rule to the curret record. The copy action is a good user facing function that adds helpful functionality. You may futher customize the resulting actions when a user triggers this event. Adding this custom action simplifies the process for the user.